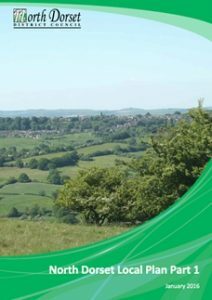 North Dorset District Council: Despite the adoption of their Local Plan Part 1 in January 2016, North Dorset District Council have confirmed that they no longer have a five year housing land supply. As part of the local plan process and as set out in the National Planning Policy Framework, local planning authorities are required to identify and update annually a supply of specific deliverable site sufficient to provide five years worth of housing against their housing requirements with an additional buffer of 5%. 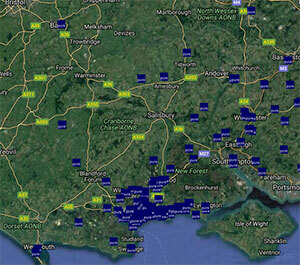 In North Dorset, the Council’s annual completion target is 285 homes. North Dorset have advised due to circumstances beyond their control they can only demonstrate a housing land supply of 3.42 years. This follows a very low rate of housing development in the last 12 months, where only 140 homes were completed. As a result of this housing shortage, the local planning authority are required to apply ‘the presumption in favour of sustainable development’ in accordance with Paragraph 49 of the National Planning Policy Framework (NPPF). As such, applications for housing development will be considerably more favourably and sites that were previously considered unacceptable, for instance sites outside settlement boundaries, may be considered acceptable providing they represent sustainable development. So, what is sustainable development? Paragraph 7 of the NPPF states that “there are three dimensions to sustainable development: economic, social and environmental” and Paragraph 8 goes on to say that “to achieve sustainable development, economic, social and environmental gains should be sought jointly and simultaneously through the planning system”. It is understood that as part of the tri-partnership agreement North Dorset is working alongside West Dorset District Council and Weymouth and Portland Borough Council to develop a programme aimed at accelerating house building in the wider area. This involves working with land owners to bring sites forward at a faster pace. If you have a site within North Dorset that may be suitable for residential development, then why not call Pure Town Planning on 01202 585524 or email info@puretownplanning.co.uk for a FREE 30 minute consultation on how we can help you.